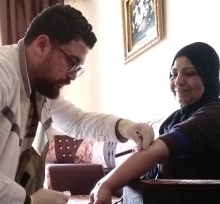 In collaboration with the Jordan Health Aid Society-International (JHASi), GroundWork is conducting the Jordan National Micronutrient and Nutrition Survey (JNMNS 2019), a national micronutrient and nutrition survey that is being implemented in all governorates of Jordan and in Syrian refugee camps. The survey is funded by UNICEF and WFP, and is supported by the Ministry of Health (MOH) and the Department of Statistic in Jordan. Key collaborators of the JNMNS also include BioLabs, the American University of Beirut (AUB), and the University of Wisconsin. With guidance from MOH, GroundWork and JHASi are leading the planning of the survey, organizing for field and laboratory logistics, data entry and analysis, and reporting and dissemination. GroundWork is providing technical support to the National Nutrition Agency and UNICEF to plan and implement The Gambia National Micronutrient and Non-Communicable Diseases Survey. The survey is assessing anemia, malaria, and micronutrient deficiencies in women and children, and measuring overweight/obesity status, blood pressure, and diabetes status (measured with glycated hemoglobin (HbA1c) concentrations) in women only. The survey is implemented in conjunction with UNICEF’s Multiple Indicator Cluster Survey (MICS), and is collecting biological specimens from a sub-sample of children and women that participated in the MICS. To support this survey, GroundWork has developed the survey protocol, procured urine and blood collection materials, trained survey field staff, supervised data collection, coordinated biomarker assessment, conducted data analysis and drafted of the survey report. One Acre Fund has received support from the Children’s Investment Fund Foundation (CIFF) to expand their agricultural intervention model by including nutrition-sensitive and nutrition-specific interventions. To ensure that future interventions are evidence based, GroundWork and One Acre Fund are undertaking two studies to assess the nutrition impact of multiple nutrition activities: a longitudinal study of children <5 years of age and a longitudinal study of the "1,000 window" of growth and development that will enroll pregnant women and later track nutrition outcomes in their offspring. Both studies use a cluster-randomized controlled approach and are located in Western Kenya. GroundWork is providing technical support to the Ministry of Health and UNICEF to plan and implement a national nutrition survey in Uzbekistan. Previously, GroundWork has developed a survey protocol and is now providing support to the procurement of blood collection materials, training of survey field staff, supervision of data collection, coordination of biomarker assessment, data analysis and drafting of the survey report. In collaboration with the University of Ghana-Legon, GroundWork is conducting the Ghana Micronutrient Survey (GMS 2017), a national micronutrient and nutrition survey that is being implemented in all regions of Ghana. 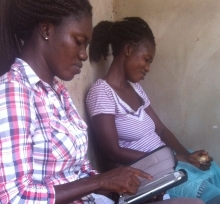 The survey is funded by UNICEF and has been mandated by the Ghana Health Services. GroundWork and the University of Ghana-Legon lead on all aspects of the survey, starting from planning the survey, organizing for field and laboratory logistics, data entry and analysis, and reporting and dissemination. In collaboration with UNICEF, GroundWork has analyzed data from DHS and SMART surveys to document the nutritional trends in children and women, and to investigate the determinants of stunting, wasting, and anemia in Guinea. In addition, GroundWork has conducted extensive qualitative research on the impact of the Ebola outbreak on nutritional care during and after the outbreak for both affected and non-affected populations, with a particular focus on infant and young child feeding practices. 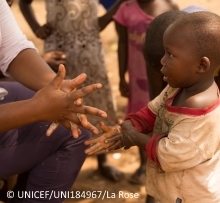 This qualitative research has been conducted in both Guinea and Sierra Leone in collaboration with UNICEF (Guinea) and Focus1000 (Sierra Leone). GroundWork is providing technical support to the Ministry of Health and UNICEF to plan and implement a national nutrition survey in Oman. GroundWork’s support includes the development of a scientific survey protocol, procurement of blood collection materials, training of survey field staff, supervision of data collection, coordination of biomarker assessment, data analysis and drafting of the survey report. In collaboration the International Food Policy Research Institute (IFPRI), Helen Keller International (HKI), and the World Health Organization (WHO), Tanzania’s National Institute for Medical Research (NIMR) and GroundWork have conducted a case-control study to investigate the associations between stunting and biomarkers of environmental enteropathy in young children in Tanzania’s Lake Zone. Along with questionnaire data collected as part of an endline study implemented by IFPRI, HKI, and NIMR, enteropathy biomarkers were measured in blood and stool samples collected from children 22-28 months of age. As part of this project, GroundWork developed the scientific protocol, procured stool collection and laboratory analysis materials, trained survey field staff, and conducted laboratory analysis. 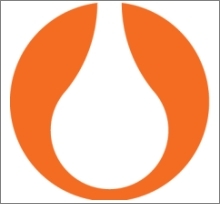 The Iodine Global Network aims to improve the iodine status of individuals by supporting national programs with consistent programmatic guidance. When data is lacking, IGN compiles the data required to design and evaluate iodine programs. 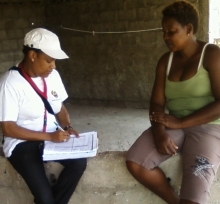 In collaboration, the Iodine Global Network and GroundWork conducted a situation analysis of salt iodization and iodine deficiency disorders in Angola. 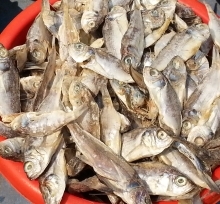 The situation analysis documents all information related to Angola’s salt market and national salt iodization program and contains all evidence from Angola on iodine deficiency disorders. In addition, the situation analysis identifies the information gaps and makes research and programmatic recommendations for iodine stakeholders in Angola. Supported by the Children’s Investment Fund Foundation (CIFF), the Affordable Nutritious Foods for Women (ANF4W) project in Ghana aimed to increase the supply and demand for nutritious foods targeted at pregnant women and non-pregnant young women (15-24 years). As part of the project, locally-based food companies were incentivized to produce, distribute, and market food products that are adequately fortified and designed to meet the nutritional needs of these target groups. To assess the project’s coverage and performance, GroundWork (in collaboration with the University of Ghana – Legon) was been contracted by CIFF to implement two coverage surveys (baseline & endline). This evaluation examined the marketing and distribution of the selected fortified foods, and measured the purchase and consumption of these products. Please click here to view a video presenting the results of the evaluation. 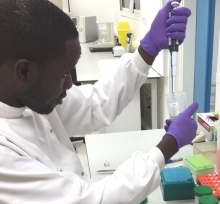 During its new phase of operations (2014-2018), HarvestPlus aims to scale up biofortification programs and establish new scientific evidence. Specifically, HarvestPlus seeks to extend its proof of concept from a single biofortified crop to a multiple-biofortified food basket approach. HarvestPlus is also expanding its programs to pregnant women and children 0-24 months of age to improve nutrition during the “1000-day window”. To better understand the potential impact of biofortified foods on these new target groups, GroundWork is conducting a comprehensive review and meta-analysis of single and multiple micronutrient supplementation and fortification interventions on birth outcomes, growth, anemia and micronutrient status among children of less than two years of age. Concern Worldwide and the Global Alliance for Improved Nutrition (GAIN) are jointly implementing a micronutrient powder (MNP) pilot project in the Tigray and Amhara regions of Northern Ethiopia. The project is targeted to children 6-23 months of age and will be implemented via Ethiopia’s public health system. The distribution of MNPs is complemented by behaviour change campaigns (BCC) to promote optimal infant and young child feeding (IYCF) practices. As part of the pilot project’s evaluation, baseline and endline surveys are conducted to assess MNP coverage, utilization, adherence, and IYCF practices. GroundWork provides scientific and technical expertise to design the baseline and endpoint assessments and to interpret program monitoring data. 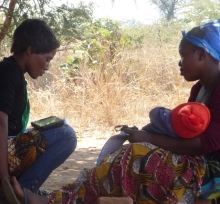 Concern Worldwide is conducting a second phase of its Realigning Agriculture for Improved Nutrition (RAIN) project in Zambia’s Mumbwa District. This second phase (referred to as RAIN+ ) aims to improve nutrition and health outcomes for women and young children by providing integrated agriculture, nutrition, health, and women’s empowerment interventions. GroundWork is providing technical assistance related to project monitoring and is designing the project’s baseline survey by detailing the sampling procedures, drafting the survey questionnaire, training data collection staff, analyzing the data collected, and reporting the results. 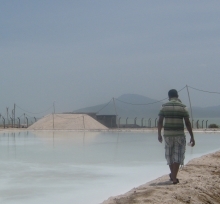 Since 2011, the enforcement of salt iodization in Ethiopia has dramatically increased the coverage of iodized salt; according to recent surveys, approximately 95% of salt contains some iodine, but only one quarter of salt is “adequately iodized”: containing the appropriate concentrations of iodine to alleviate iodine deficiency disorders. 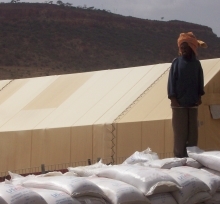 To improve the coverage of adequately iodized salt, GroundWork is providing technical support to GAIN by assessing Ethiopia’s salt iodization program and recommending improvements to the government’s regulatory monitoring and surveillance system. In particular, GroundWork has identified critical control points for iodized salt and developed monitoring tools to strengthen the capacity of the government’s regulatory agency. Significant global progress has been made in the past two decades to reduce iodine deficiency disorders through universal salt iodization programs. To ensure sustained success, careful monitoring of iodization levels at production, importation and end- consumption is critical. To simplify the monitoring process, several electronic rapid test kits for quantitative salt iodine content analysis, have been developed and are mostly commercially available. GroundWork is collaborating with the Micronutrient Initiative and other stakeholders on the comparative validation of a series of such devices. This validation will include both typical laboratory performance assessments and the user- and field-friendliness of devices, including challenges of procurement, training requirements, and waste disposal procedures. The project aims to provide device-guidance based on specified use for organizations and professional staff advancing universal salt iodization. 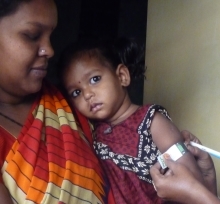 GroundWork is providing technical support to GAIN to implement coverage surveys to assess the accessibility and use of fortified complementary foods (for infants and young children) in two locations: Abidjan, Côte d’Ivoire and Telangana, India. GroundWork’s support includes the development of scientific survey protocols, training of survey field staff, supervision of data collection, data analysis and reporting. 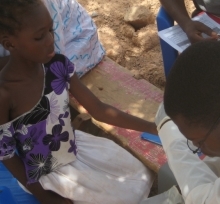 GroundWork is providing technical support to UNICEF and national stakeholders to plan and implement a national anemia and iodine status survey in young children, school aged children, non-pregnant and pregnant women in Burkina Faso. GroundWork’s support includes the development of a scientific survey protocol, assistance to procure blood/urine collection materials, training of survey field staff, supervision of data collection, data analysis and drafting of the survey report. While interventions promoting home gardens and strengthening nutrition education (commonly referred to as homestead food production projects) are implemented in many countries, their ability to sustainably improve the anemia and iron status of young children requires further evidence. 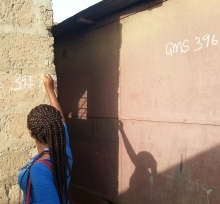 To address this knowledge gap, GroundWork is providing logistic and training support to two research studies investigating the nutritional impact of multinutrient powders (aka Sprinkles) and enhanced homestead food production in Burkina Faso and Tanzania. 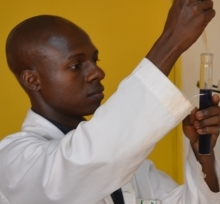 Specifically, GroundWork is managing the procurement of specialty supplies for the collection and processing of blood samples and training phlebotomists prior to the commencement of the research studies. 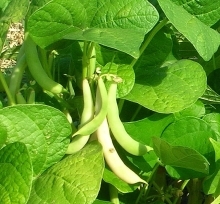 Beans have been shown to be a promising vehicle for iron biofortification and biofortified high-iron varieties have the potential to reduce the prevalence of iron deficiency in bean-consuming populations. 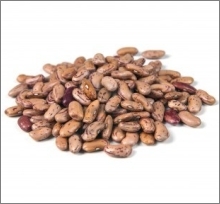 Nevertheless iron bioavailability from beans is low and recent studies surmise that this is due to beans’ high phytic acid content as the binding of iron and phytic acid prevents an individual’s absorption of the iron. To address this issue, bean varieties that have very low amounts of phytic acid (about 1000µg/g bean) have been recently developed in an attempt to serve as a sustainable approach for increasing iron intake. 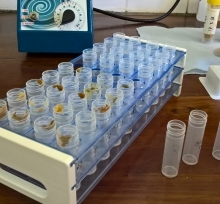 To compare the absorption of low phytic acid beans with existing biofortified high-iron varieties, GroundWork has been tasked by HarvestPlus conduct a multiple meal stable-isotope study in iron-deficient women in Rwanda. GroundWork will implement this study in collaboration with the National University of Rwanda and ETH-Zurich. 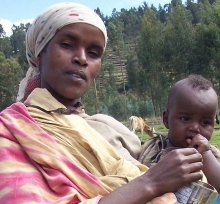 Over the past decade, Ethiopia has made huge strides in fighting malnutrition. Child stunting (a measure of chronic malnutrition) has shown considerable improvement, decreasing by approximately 14 percentage points since 2000. 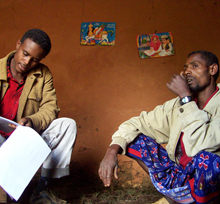 In order to accelerate the reduction in the prevalence of stunting and continue the improvement in the nutritional and health status of children in Ethiopia, GroundWork is undertaking an analysis of Ethiopia’s 2000, 2005, and 2011 Demographic and Health Surveys to assess the potential causes of stunting and reciprocally, reasons for improvement over the past decade. 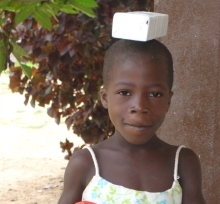 GroundWork is providing technical support to WHO and national stakeholders to plan and implement a national micronutrient survey in Sierra Leone. GroundWork’s support includes the development of a scientific survey protocol, assistance to procure blood/urine collection materials, training of survey field staff, supervision of data collection, data analysis and drafting of the survey report. With HarvestPlus, GroundWork is conducting a systematic review of the published and unpublished literature on the feasibility, efficacy, and potential of iron biofortified beans to address iron deficiency in developing countries. As one of the major bottlenecks of bean iron biofortification is the low iron bioavailability, the review pays particular attention to compounds such as phytic acid and polyphenols that inhibit iron absorption. GroundWork is providing technical support to UNICEF and national stakeholders to plan and implement a national micronutrient survey in Azerbaijan. GroundWork’s support includes the development of a scientific survey protocol, training of survey field staff, supervision of data collection, analysis of data and drafting of the survey report. 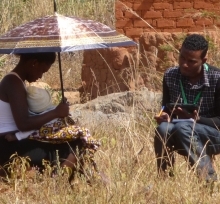 GroundWork is currently providing technical assistance and oversight of the biomarker component of the 2012-2013 Micronutrient Survey in Mozambique. This support includes the co-development of the scientific survey protocol, the training of survey field staff, and supervision of data collection. GroundWork will also support the analysis of the survey results and drafting of the report. 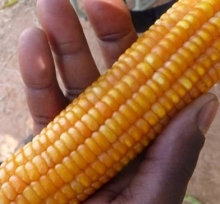 This survey will serve as the baseline to Mozambique’s national food fortification program. GroundWork is currently providing technical assistance to the stakeholders of the Kenya National Micronutrient Survey. This assistance includes coordinating the shipment and analysis of biological samples, the analysis of the survey results, and the drafting of the survey report. Africa’s Sahel region has repeatedly suffered from situations of food insecurity that reach critical or emergency levels, and famine early warning systems forecasted a nutrition emergency in 2012. Prior to WFP’s response to the emergency, GroundWork supported country offices in West Africa to strengthen the monitoring and evaluation (M&E) systems that are used to assess the performance of programs (e.g. blanket supplementary feeding) designed to prevent the onset of malnutrition among young children and women of reproductive age. To better understand the associations between feeding practices and the nutritional status of children 6 to 23 months of age in urban areas, GroundWork has supported GAIN to analyze data and draft a manuscript from a cross-sectional survey of five urban centers in the Philippines. 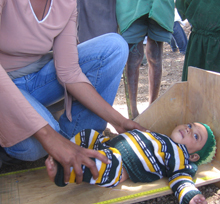 Data on infant and young child feeding and nutritional status (including wasting, stunting, underweight, anemia, iron deficiency, and vitamin A deficiency) were analyzed, and the manuscript will be published in the Food and Nutrition Bulletin in mid 2013.